December 21, 2015 By Denny Hansen & filed under All Articles, Long Guns, Shooting Drills, Tactics/Training. Back in 2012, a friend emailed me to say he had been asked if I would like to attend a three-day carbine class and could he forward my contact information to the instructor. My friend admitted up front he had not attended training with this company and could not vouch for the quality of the training. At the time I was evaluating a Mossberg AR (ENTRY LEVEL CARBINE: Mossberg Modern Rifle, September 2012 S.W.A.T.) and was hoping to get in some quality trigger time for an article. I contacted the training company and accepted the offer. I was told this would be a “high intensity” course. This was good news, as I hoped to run the Mossberg hard. 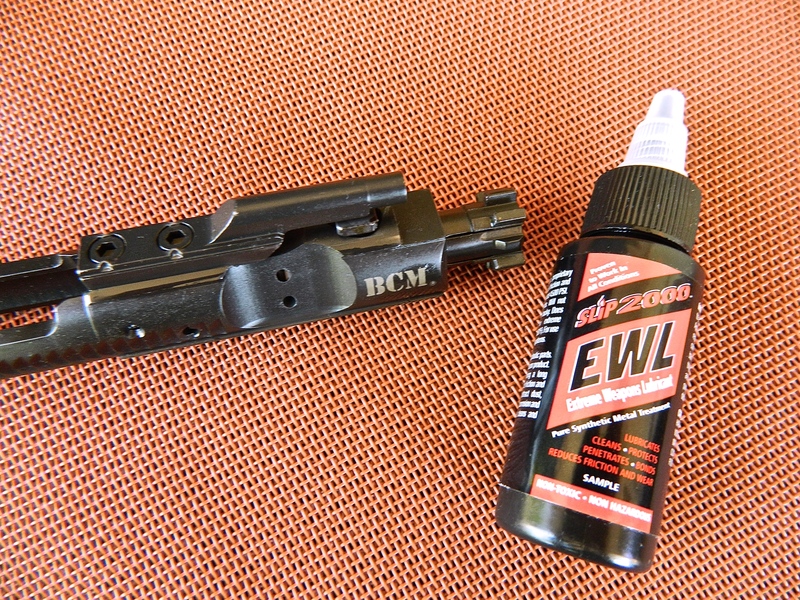 A quality bolt carrier group with good lube goes a long way to preventing malfunctions. The owner of the company showed up in a Hummer covered in silk-screen graphics. This should have been my first clue as to the smoke and mirrors that were about to ensue. Training Day (TD) 1 was supposed to start at 0800. Waiting to see “if anyone else shows up,” we did not gear up until 1030. The class started with a safety brief. The lead instructor, let’s call him “Bert,” told the class there are four rules to follow: all guns are loaded, keep your finger off the trigger until ready to shoot, and watch your background. You read that right: he either did not know or forgot Rule Two—never let the muzzle cover anything you are not willing to destroy. That was the extent of the brief. Nothing about gear selection, stance, lube, malfunctions, staying hydrated (this was a summertime class in the Arizona desert), etc. To my surprise, we did not confirm zeros prior to starting to shoot. The first drill was to shoot two rounds standing, two rounds kneeling, and two rounds prone at 50 yards. This was a Level 1 class and, although it had some experienced shooters, nothing was said about the different kneeling and prone positions for the beginners who made up most of the class. I didn’t expect to shoot from prone on the very first drill, so had not put on my elbow pads. No big deal since the magazine, acting as a monopod, holds most of the weight and keeps my elbows out of the gravel. Or so I thought until Bert told me to get up on my elbows under the gun because resting the mag on the deck will cause “jams” (even though there was no toast in sight). When Relay 1 had finished, we did not go forward to look at or tape the targets. We were dismissed and Relay 2 came and repeated the same drill. In fact, no targets were ever looked at or taped all day. Lunch break from 1130 to 1330. The majority of the afternoon was spent moving and shooting with empty gun/emergency reloads. Tac loads (reload with retention) were not taught. Besides the first drill in the morning, there was no positional shooting. We shot on the move from 50 to 80 yards. 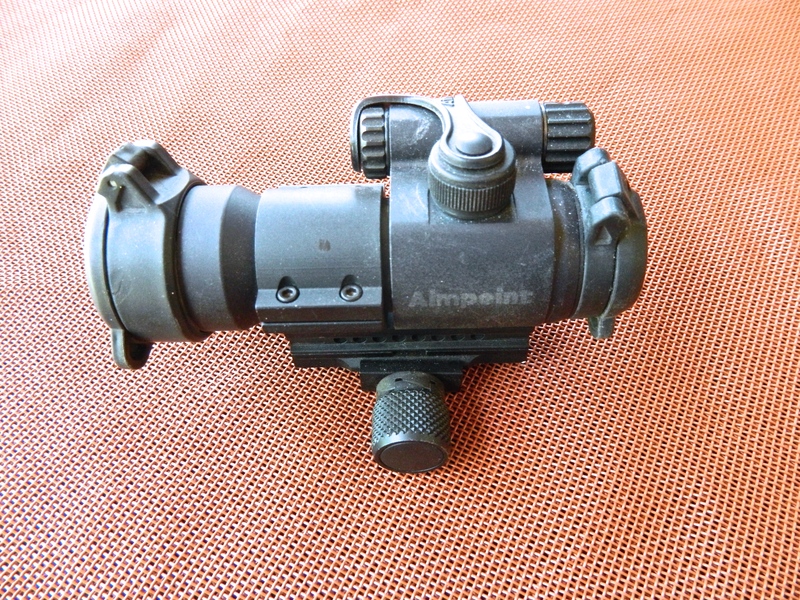 Optics such as this Aimpoint PRO with ½ MOA adjustments are easy to zero. Two clicks move the point of impact one inch at 100 yards. Double the number of clicks needed if zeroing at 50 yards. An “instructor” who does not know how to zero an optic does not deserve the title. In law enforcement or for the average citizen? Really? If you do not build up a sweat under your armor while training in the summer, something is wrong, and I don’t mean with your health. If it had not been so dangerous, it would have been a real hoot to watch them shooting on the move from this stance. They were not given any corrections or advice from the instructor cadre. Toward the end of the day and after only about 150 rounds, the guns of two students on my relay started to choke. Bert said it was likely due to bad ammo. I pulled their BCGs and they were as dry as Arizona asphalt. Slip 2000 EWL cured the “bad ammo” problem. Later another guy said his gun was “jamming” (still no sign of toast). He asked if I would put some of the “oil stuff” on his bolt. While the gun was definitely in need of lube, the gas key was so loose I could lift it up and down. (He told me his brother-in-law had built it and it was just as good as, well, you know.) I always throw Ned Christiansen’s MOACKS tool in my bag when attending a class. Screws torqued and staked, and lube applied. End of problem. TD1 was supposed to run until 1700, but we shut down at 1630. 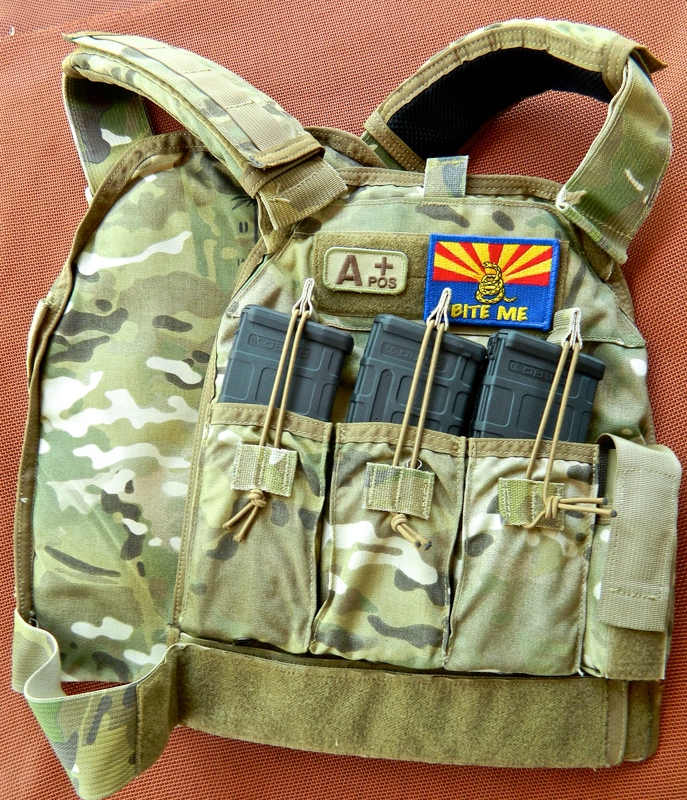 Between starting late, ending early, and a 2.5-hour lunch break, total range time of “instruction” for this “high intensity” class was only 3.5 hours Even though it was summer in the Arizona desert, I had not built up a sweat under my armor. We were told to show up at 0900 instead of 0800 the next day. Although TD2 was supposed to start at 0900, we did not get close to putting rounds downrange until after 1030 (again). Even then, the instructors did no prompting to get students on the line. Upon my arrival, I expressed my concerns about TD1 to the owner, let’s call him “Elmo”, mainly in regard to zeroing the guns. I also told him that without taping the targets and diagnosing hits, the drills amounted to ballistic masturbation, as we were essentially just making little holes in the air that filled right back in. Students did not know if they were making good hits or completely missing the targets. Elmo talked with Bert, and the class was finally allowed to zero their guns. We zeroed at 50 yards. The Mossberg AR I had brought had already been zeroed at the same distance, so I was good to go. But the shooter next to me had a group five inches left and four inches high (Aimpoint PRO, 1/2 MOA clicks). He asked Bert how many clicks he needed to adjust, and Bert told him go five right and four down. I hate disagreeing with an instructor, especially in front of other students. But I was becoming more and more frustrated, so I finally opened my big mouth. I told my classmate he needed to go 20 right and 16 down and he should be close to being right on. Bert and the student both looked at me like I had just dropped my trousers and defecated on the range. After 30 minutes, making a click or two at a time and wasting a lot of ammo, the student was finally zeroed. Time was 1140. And that’s when a friend of Elmo’s showed up and told him he wanted to show him his new Saiga shotgun. Leaving the class standing, Elmo and his friend went downrange to shoot it, but only after telling the class that when they came back, we would break for lunch. I left. Needless to say, I did not show up for TD3. It has been said that any press is good press. And that is the reason I have not mentioned the name of the company and have changed the names of the “instructors.” Elmo was hoping to get positive ink, so I was not charged for the class. If I had paid, I would have demanded a refund. I have stated numerous times over the years how important it is to vet an instructor before throwing down your hard-earned cash. I share this story to illustrate that point. In my opinion, the best way to vet an instructor is by talking to others who have taken a class from that instructor. But take into account the student’s experience. For example, if he says, “That was the best training I have ever attended,” and it is the only class he has been to, he has nothing to compare it to. Only if he has trained under at least three different instructors can his opinion be considered substantive. The Internet is a source, but be aware that some of the kudos given to an instructor or school may not be subjective, but rather from groupies or even employees of the school. Check around, ask questions. Caveat Emptor.